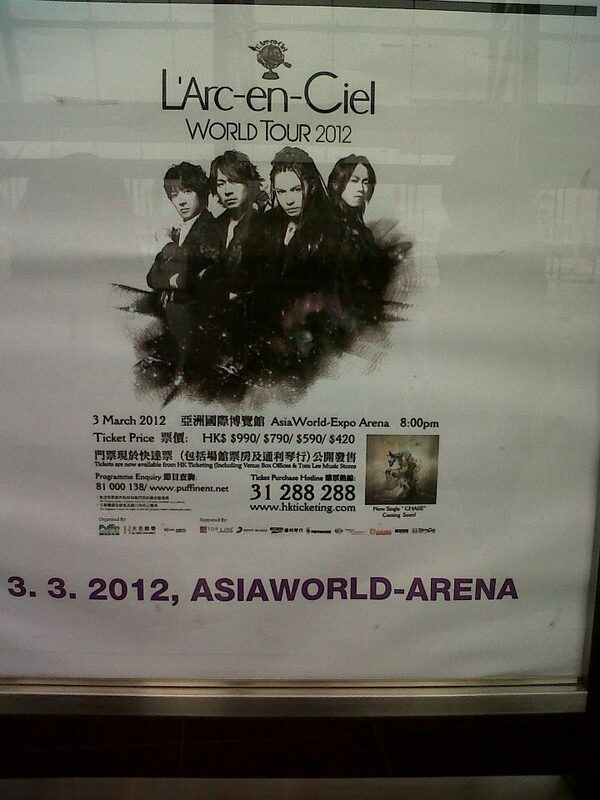 Posted byGab	 30.Mar.2012 04.Dec.2013 2 Comments on L’Arc~en~Ciel and Hongkong 2012! So it’s been almost a month since the concert and I am still not over it. Truthfully, I hadn’t touched a Laruku record in years. The last album I listened to was SMILE, which came out in 2004. (Of course, I’m totally up to date now haha) But when my friends started talking about going to Hongkong for the concert last year, I figured why the hell not. If I was going out of the country to watch a band play, it might as well be a band I started listening to in the 7th grade. To save on monies, Noelle‘s lovely parents let me stay with them. 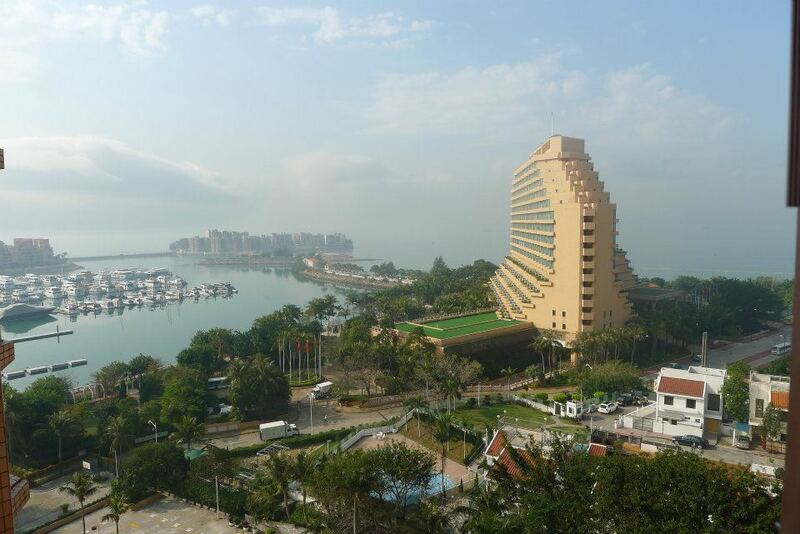 It’s a good 30-minute bus ride and 3 train transfers away from the hotel the girls were staying at in Mongkok, but it’s near the airport and near AsiaWorld Expo which is awesome. And Gold Coast is pretty sweet. Look at that view. I spent my first night there having dinner and drinks with my step-cousin Michael (that’s really the easiest way I can think of to describe our relationship) and his wife Clara, watching a Filipino band play at a bar that was manned by Filipina waitresses. Haha! 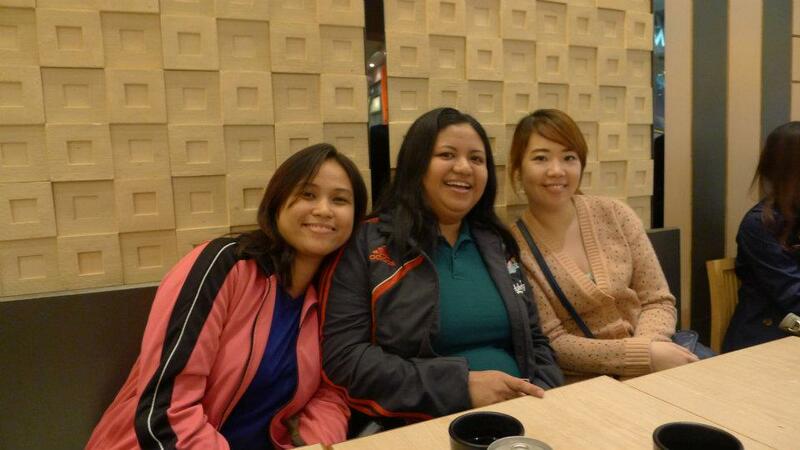 Then shopping at Mongkok and doing tourist-y things at Avenue of the Stars with Hazel and Cheena the next day. 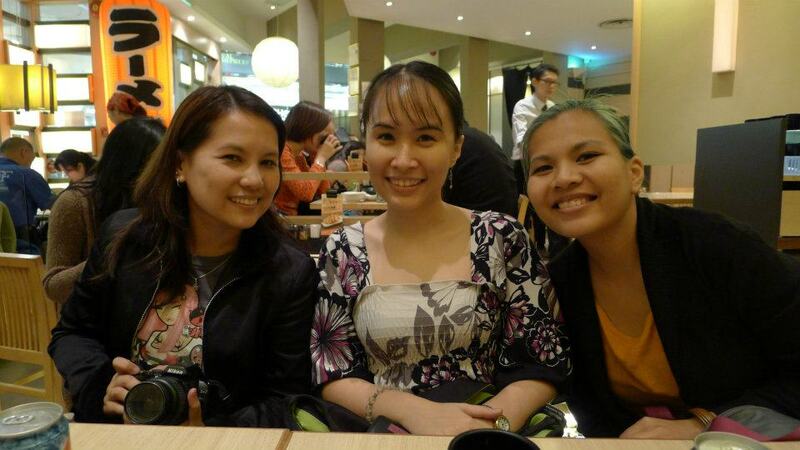 Then met up with Rotch, Rael and Jill, whose flight arrived early that evening for Ajisen Ramen dinner. We had originally planned on being at AsiaWorld Expo bright and early on concert day for tour goods, but we ended up getting there at around 1:30PM. 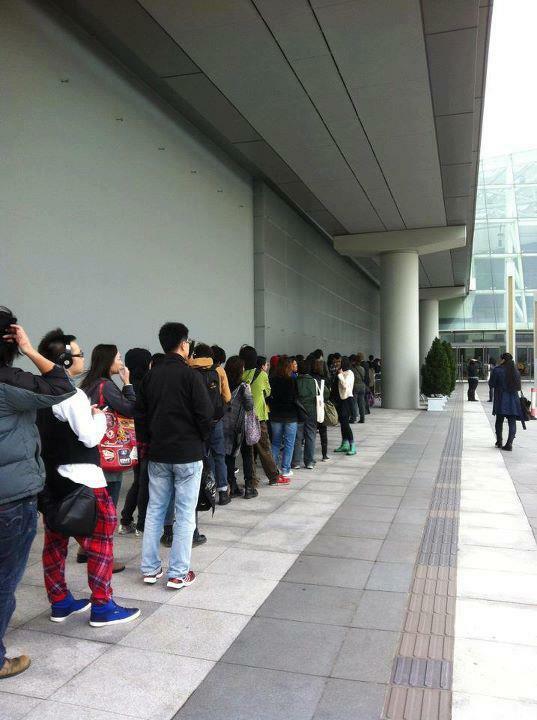 And the queue that greeted us was insane. 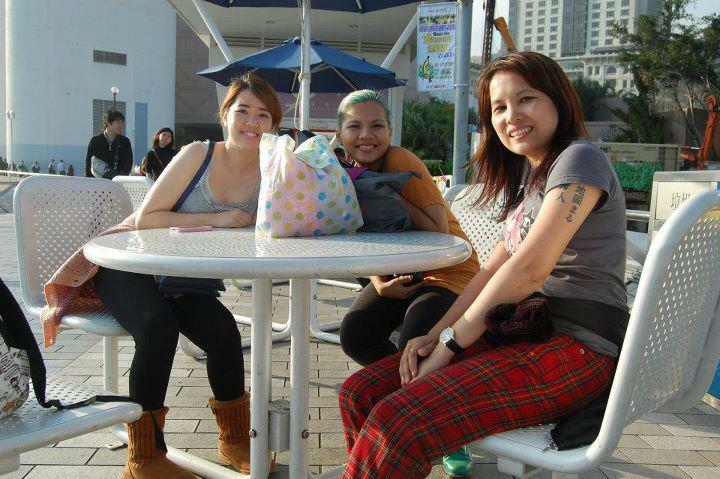 Here’s a photo of us in line from the Official L’arc~en~Ciel Facebook page. (Yeah, I know. I’m giddy like that) The merch booth is inside lol. If you squint, you can see me in my green Doc Martens Hahaha! I spent what was supposed to be my Disneyland money on tour goods. I REGRET NOTHING. 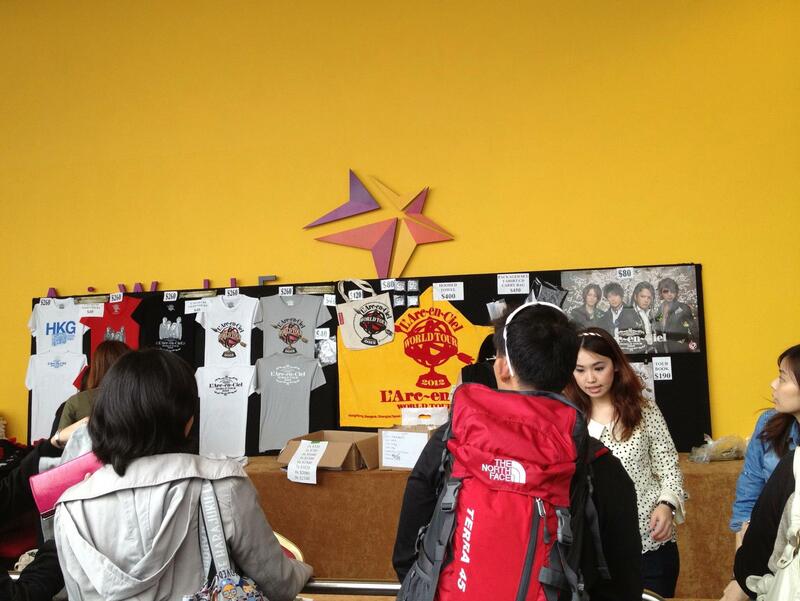 The tour goods booth. Photo from Jill. Cameras, video and otherwise, were of course not allowed in the arena. I stole a couple of shots with my camera phone but it just takes sucky low-light photos and ran out of battery lol. Again, I hadn’t listened to them in years, but when they finally got on stage and played the first note of Ibara no Namida, I was in tears hahaha! I also thought I’d outgrown my little crush on Hyde, but everytime he winked or tried to be cute at the camera, I melted a little inside HAHAHAHAHA. Haido-mai-hasbaando. ❤ Photo from Hazel. I was a little concerned that they’d just play their new songs and that I wouldn’t be able to relate, but their set list was a good mix of their old and new singles. 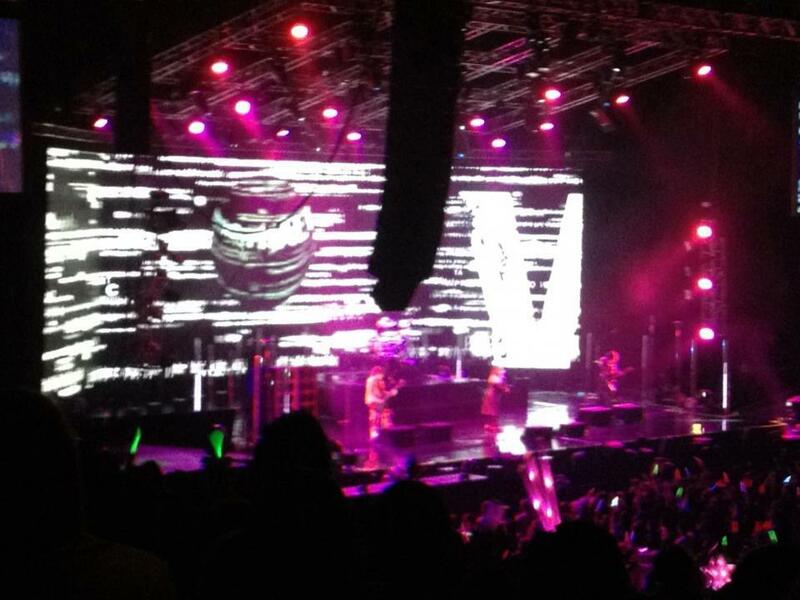 I was pleasantly suprised to hear them play Ibara no Namida. It’s one of my favourite Laruku songs, but I didn’t realise it was that popular. I spent my last day in Hongkong taking it easy. Woke up late, Noelle’s parents treated me to the best Salmon sashimi ever, took a nice long nap before going to the airport. 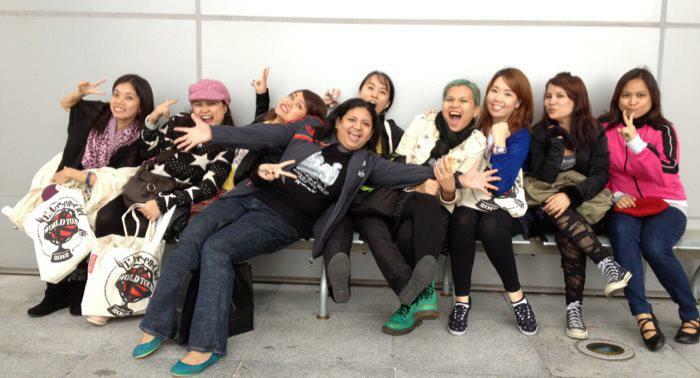 I miss Hongkong already. 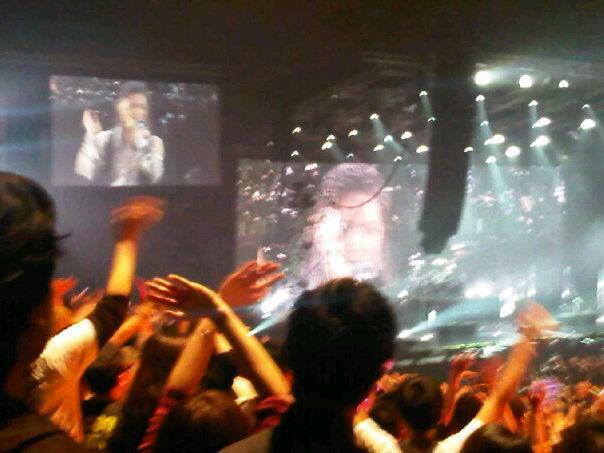 I regret not having the money to watch X-Japan in Bangkok late last year. My feet are itching again. Next target: Japan 2014! My first love was Sakura. Because at the time, he was the only one who was pogi, and not pretty hahaha! When he left the band, I moved on to Hyde. ❤ Ken's my runner-up haha! XD And yes, ang gwapo lang talaga ni Hyde nakakaloka!